ABET's volunteers are the heart of its operations and the face of quality in today's technical higher education. More than 2,000 dedicated technical professionals - faculty, deans, department heads, industry leaders, government representatives, and private practitioners - donate their time and effort to ABET each year. Most ABET volunteers begin their service as program evaluators (PEVs). Program evaluators play a vital role on ABET's review teams who visit college campuses and evaluate programs seeking accreditation. 1. Demonstrated interest in improving education. 3. Formal education and recognized distinction in their field. 4. Degree appropriate to the field. 5. Experience with accreditation processes and/or quality improvement processes. 6. Internet and e-mail access and proficiency in using word processing programs (compatible with Microsoft Word and Word Perfect), spreadsheets, and PDF files. 7. 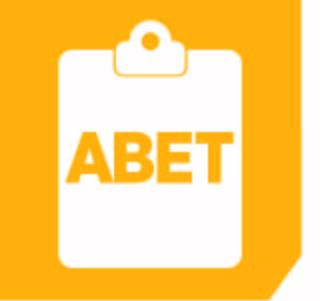 Other minimum qualifications as required by ABET’s member societies.